Bridgestone vs. Michelin: Which tire is better? Bridgestone is a Japanese rubber company with over 140 manufacturing facilities across the world. The name Bridgestone is a translation of the founder's name, Ishibashi, which means "stone bridge". Bridgestone and Michelin are the two biggest suppliers of tires in the world. The Michelin brand of tire is a French manufacturing company with the world famous, Michelin Man mascot. Michelin tires have been around since the late 1880s and also own the BFGoodrich and Uniroyal line of tires in America. Aside from making tires, Michelin is a successful publishing company as well. Bridgestone made its first tire in 1930 and decided to base all of its tire production on Japanese technology only. At first, this was difficult, but they not only managed to gain steam, they were able to expand their company very quickly. During World War I, Bridgestone's tires were being used to meet the demand of the Japanese military. Two brothers from France who had a rubber factory set out on a course to make a bicycle tire that did not need to be glued to the rim. In 1891, they patented the first removable tire and it went on to win the first long distance bike race in the world the same year. 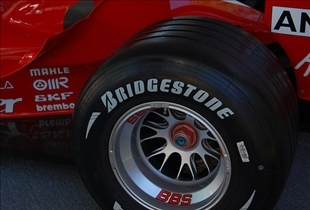 Bridgestone has been involved in Formula One racing for many years. 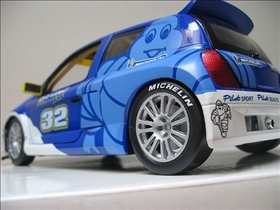 It began as a way to promote brand recognition in Europe, as Michelin was the favored brand. Since 2007, Bridgestone has been the only tire supplier of all Formula One racing teams. Michelin has a rich history of motor racing and introduced radial tires to the Formula One races. There had been battles between Michelin and Formula One's governing body over several years which led Michelin to stop involvement in 2006. Endurance and MotoGP racing are also forms of motor competition with which Michelin has been involved. Bridgestone offers many types of tires from passenger cars to motorcycles. Products such as engine mounts and air springs are a special line of items as are aluminum wheels and various other accessories. Bridgestone has even branched out into electronic equipment and sporting goods. Bridgestone makes certain industrial products as well. Bridgestone also makes polyurethane foam that is used for car interiors and seats, bedding, building sealant and marine hoses. Michelin not only creates tires, but also is well-known for their Michelin stars that are awards to restaurants for the best cooking. The Red Guide lists the restaurants as well as hotels that are recommended for travelers and the Green Guide is a guidebook for tourists. Maps available in print and online versions as well as digital mapping services are further ways Michelin assists people in their travels. Bridgestone has been in the business of making tires for about eighty years and they have been very successful in the motor vehicle tire industry as well as other ventures. Bridgestone was the first Japanese company to sell tires with rayon cord and over the years became one of the top rubber product manufacturers in the world. With the purchase of Firestone in the late 1980s, Bridgestone and rather than do away with Firestone, has recreated the image of the tire company and helped to develop brand awareness. Michelin has been a leader in tire technology and innovation, which not only propelled them to success, but also has helped them to maintain it for over one hundred years. The radial tire for instance, was developed in the 1940s and is still available today. so which tire last longer--performs better--Michelin or bridgestone ? This was a **** complete waste of my time...pricks! I agree with Nona. This article was a complete waste of time! RV vs. Trailer: Want to get on the road again? Sunroof vs. Moonroof: What is the difference? Red Car vs. Non-Red Car: Who gets more tickets? Ford vs. Chevrolet: Classic American rivalry?